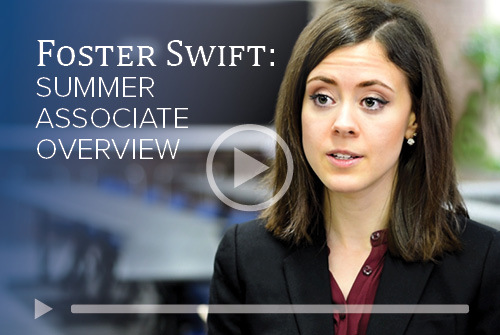 The Summer Associate recruiting process starts each year when Foster Swift visits a number of Midwest law schools and job fairs and accepts resumes from law students around the country. Our goal in this process is to find those individuals who have the potential for outstanding long-term legal careers with Foster Swift. Many of the current attorneys at Foster Swift began their legal career as a Summer Associate at the firm. Over a decade ago, we resolved to improve the quality and efficiency of our recruiting process. All call-back invitations are now extended for one Saturday in late August or early September. Saturday interviews alleviate the need for candidates to miss classes. This schedule also allows the firm's interviewing lawyers to dedicate uninterrupted time and attention to this very important aspect of the firm's future. In addition, this process has dramatically reduced the time historically required to inform candidates about hiring decisions. All expenses are paid for candidates accepting the firm's call-back invitations. In addition to one-on-one interviews conducted on Saturday morning, there are ample social opportunities on the evening prior to interviews, allowing the candidates to experience the formal and informal sides of life at Foster Swift. 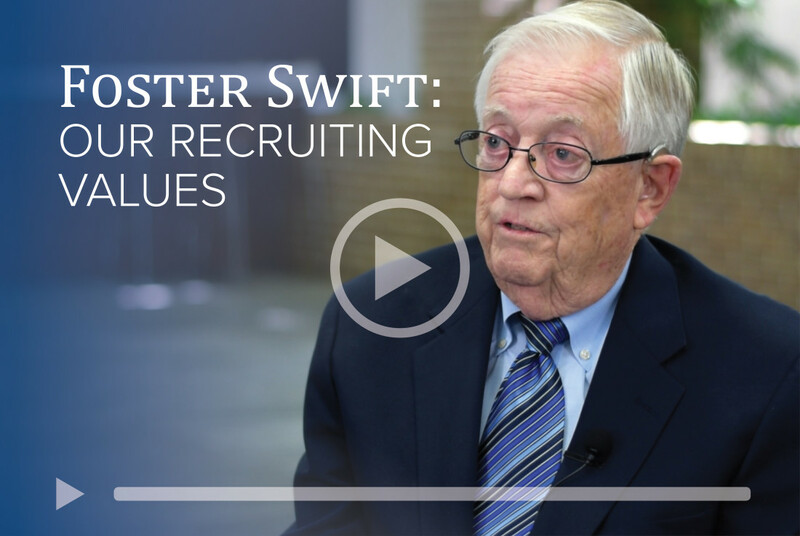 Listen to named shareholder Webb Smith speak on the timeless recruiting values Foster Swift has held since its founding in 1902.